Apple is expected to introduce a credit card in partnership with Goldman Sachs. What can it do to make it work? Apple is expected to introduce a credit card in partnership with Goldman Sachs. How could it make this card a must-have item for its premium customers? While the attention is focused on Apple’s surprise product release salvo and its forthcoming video streaming services launch on March 25, there are also claims the company will introduce its own credit card with Goldman Sachs, whose CEO, David Solomon, is expected to attend the Apple launch event. This is a natural next move in Apple’s strategy to transform the smartphone into a wallet, but with razor-thin margins and economic instability to contend with, how can Apple and its partner craft success within this ultra-competitive market? Early reports already claim the card will provide up to 2 percent cashback. Perhaps this percentage will be a little higher when purchasing an Apple product using the card. Signing up for an online shop you only plan to use once? The service could provide you with a temporary credit card number supported by your ‘real’ Apple card that will only work once for one payment. If your card details get hacked, the number won’t work. Revolut already offers this. A credit card that gives you all the music and streaming video (including the Wall Street Journal) you’ll ever need for a discounted monthly fee for six months when you join? Plus earn discounts on the standard cost by managing your money effectively: Paid off in full? Here’s a free month of media. Could those cashbacks accrue against Apple services (including iCloud) subscriptions? Apple seems to be planning a virtual credit card that works a little like Apple Pay. You’ll present your iPhone or Apple Watch and pay using your credit card in any shop. 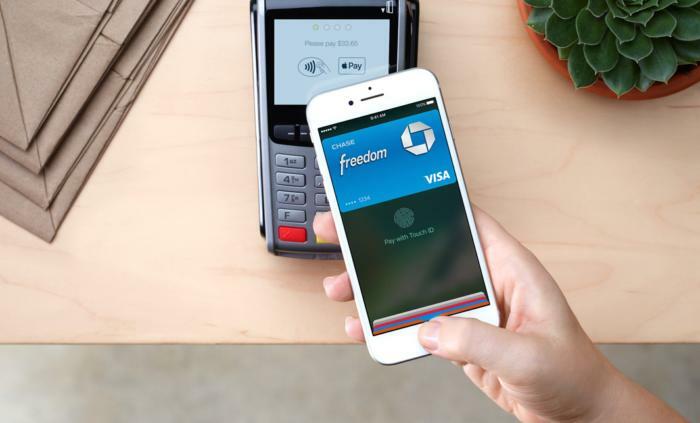 What’s the most-wanted add-on for people using Apple Pay? Insurance for when their devices get lost or broken. Right now, we pay a few hundred dollars to purchase the Apple Protection Plan for our devices, but what if you received this as a free or slightly lower-cost customer benefit with your Apple Credit card Perhaps it would encourage wider adoption. Early reports around Apple’s Goldman Sachs plan have suggested it intends making credit card reports fun through gamification. In this model, Apple allegedly plans an Activity viewer-like interface in which you track your spending. This also lets people track how they handle their debts -- perhaps you'll earn virtual badges for real world achievements like clearing your balance. I see this as turning your credit rating into a virtual reality game. An Apple API for developers to create services that work seamlessly with an Apple credit card? Just tap to join a ride sharing, scooter or hotel hire scheme. Subscribe to anything. Fast and secure, and use third-party services that enhance what you do. Think of it like challenger banking on steroids. How can you integrate trusted and verifiable credit into your app business? App developers who successfully encourage others to pay using an Apple credit card could generate an affiliate percentage. Apple has retail stores across the planet. These "town centers" already provide help and advice to any Apple user – but perhaps they could provide more? Travellers using Apple credit cards could get local help from stores as a free service, just as some credit and home/office insurers already provide local contact points of for premium travellers. Failing that, you will at least be able to check your balance on the free Wi-Fi. Unless Apple gets a banking license, in which case you’ll visit to get a car loan – or use the premium customer lounge facilities. Apple handles oodles of cash in multiple currencies. While financial legislation may limit its ability to fully realize the potential of this, it must surely be possible for Apple to act as a licensed virtual foreign exchange conversion company. In this model, you’d pay for items in any country using your credit card in the local currency. There would be zero or very low currency conversion fees, and the exchange would be backed-up by Apple’s own pile of local currency (though subject to tax and offshore banking law). Sixteen percent of Millennials switched cards in the last year (higher than the population average of 11 percent). Millennials are more likely to use Apple Pay and already expect to use Apple products when they go to work. They already use Apple’s Activity feature – and they all need health insurance. Perhaps Apple can combine the new credit card with its health tracking tools to create a credit card that rewards borrowers with provably healthy financial or lifestyle records with lower interest rates. If you are a financially responsible person with good health you are less of a risk to the credit company, right? Summing up: I suspect Apple’s credit card plan may emerge as being more transformational than its video streaming service – and potentially more profitable. I’ll be tracking this story as I have since before iPhone became a wallet.